Saunders College of Business has been noted for being among 85 full-time MBA programs in <em>Bloomberg Businessweek</em>â€™s 2017 rankings of best U.S. business schools. 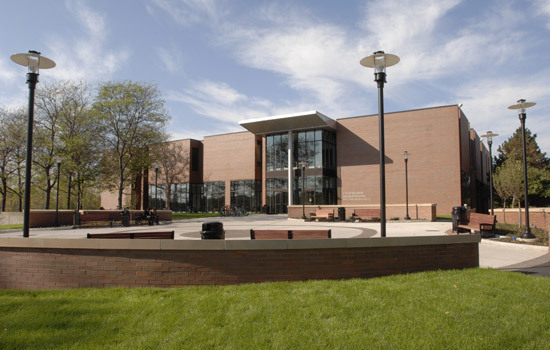 Saunders College of Business at Rochester Institute of Technology has been noted for being among 85 full-time MBA programs in Bloomberg Businessweek’s 2017 rankings of best U.S. business schools. Saunders College ranked at No. 79, with a job placement rate of No. 24, in the annual MBA rankings of graduate business schools. The data is compiled from more than 600 recruiters, 10,000 alumni and 9,000 recent graduates. “We are very gratified by this acknowledgement from Bloomberg Businessweek as it highlights the degree to which our MBA program is delivering—to students and employers alike—the differentiated skills that are the hallmark of an RIT education,” said Sean Hansen, Saunders College MBA program director and associate professor of management information systems. Bloomberg Businessweek’s rankings of full-time U.S. MBA programs is based on five components that include an employer survey, alumni survey, student survey, job placement rate and salary. The top 30 full-time U.S. MBA programs are highlighted in the print issue of Bloomberg Businessweek, which is out on newsstands this week.